Ding Chen, in a selfie posted to his Instagram account, and a March 12 photo of his new Bugatti Chiron, undergoing extensive customisation before delivery in Vancouver. 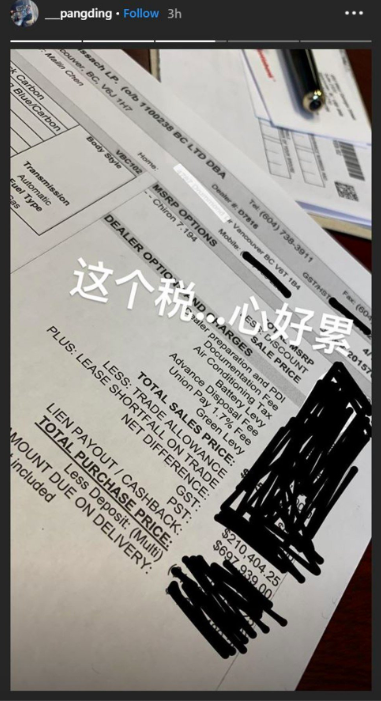 The son of a Chinese tycoon is buying a C$5.1 million (S$5 million) custom Bugatti sports car in Vancouver, apparently with his father's Union Pay credit card, according to a picture of the invoice the young man posted on Instagram to complain about Canadian taxes. Ding Chen published a copy of the bill bearing his father Chen Mailin's name on his Instagram stories, with an exasperated message overlaid in Chinese: "These taxes … my heart feels tired". Chen's Instagram account was closed or locked down around an hour after this article was published. China's Union Pay credit cards have been the subject of increasing scrutiny as a conduit for money out of the mainland. China has an annual cash export limit of US$50,000 (S$67,632), and Union Pay says it enforces an annual overseas cash withdrawal limit of 100,000 yuan (S$20,124). The address of his home on Vancouver's Drummond Drive was whited-out but still readable. He is a former member of the Chinese People's Political Consultative Conference, China's legislative advisory body. According to a corporate disclosure last year Chen Mailin is a permanent Canadian resident. 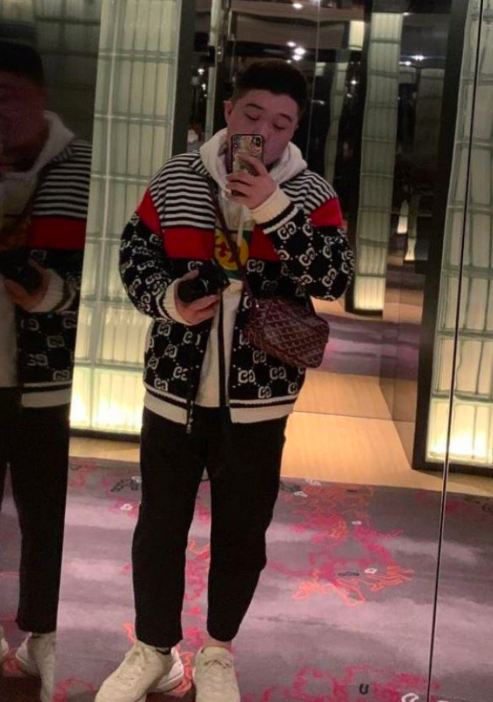 Ding Chen - who bears a striking resemblance to Chen Mailin - is the businessman's son, according to the tycoon's assistant at Chunghwa Investment company in Vancouver. Patrick Kam, a salesman for Weissach Group, Bugatti's official dealer in Vancouver, said only one Bugatti Chiron had been sold and delivered in Vancouver. "It's a very esoteric car," he said. But he said he was "not at liberty to discuss sales that may or may not be in the works". And a Union Pay credit card would indeed be accepted at Weissach if someone wanted to use it to buy a C$4 million car, or any luxury vehicle. "Yeah, it's a regular mode of payment that we take," said Kam. 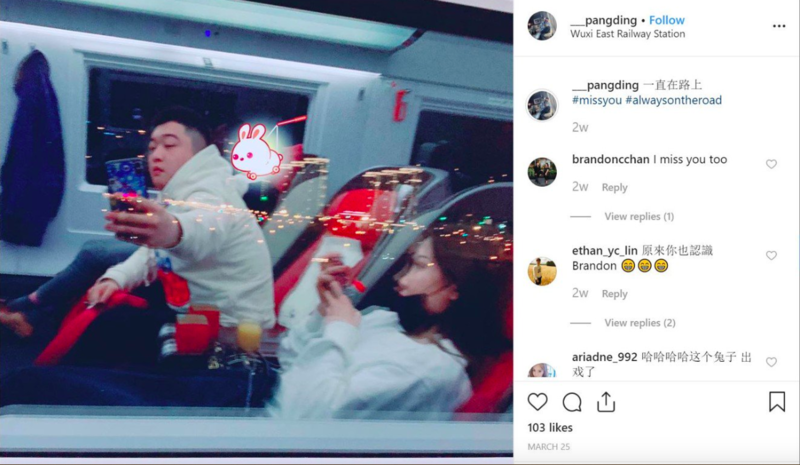 Ding Chen in a selfie taken on a mainland Chinese train. 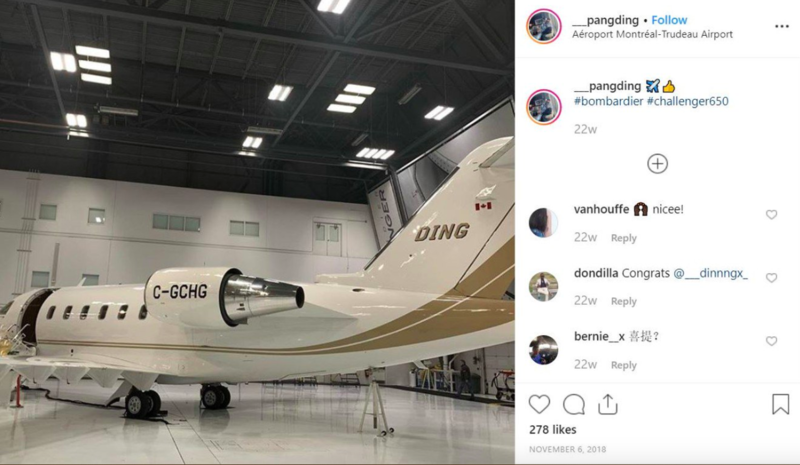 Ding Chen's Instagram feed is filled with scenes of conspicuous consumption across the world, including a US$30 million (S$40 million) Bombardier Challenger jet with his name, "Ding", emblazoned on the tail in Montreal; straphanging on the Hong Kong MTR with an Audemars Piguet watch on his wrist; and posing in Gucci leisure wear in Las Vegas, Nevada, and Shanghai. Other photos apparently show his new Bugatti Chiron in various stages of completion as it undergoes extensive customisation. "It's on its way. 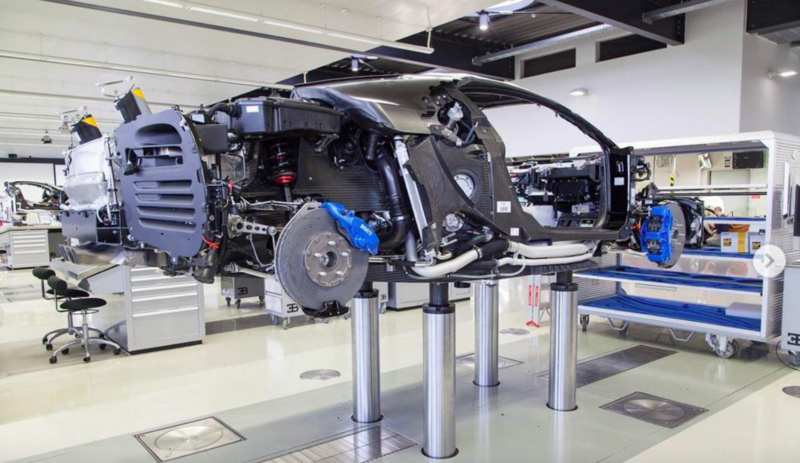 #bugatti #chiron #w16," he posted on February 26, with a photo of a mostly dismantled Chiron in a laboratory-like workshop. "The next stage!" he posted on March 12, with a photo of a Chiron, still wheelless but with body work attached. 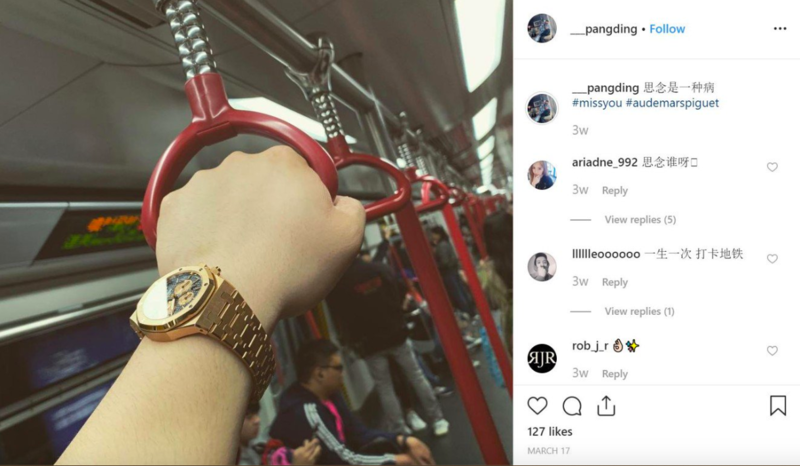 Ding Chen's other postings on Friday included a description of being pulled over by police in his BMW M4 sports car for lacking a front number plate; listening to rap music while stuck in Vancouver traffic; and filling up with petrol in nearby Richmond. 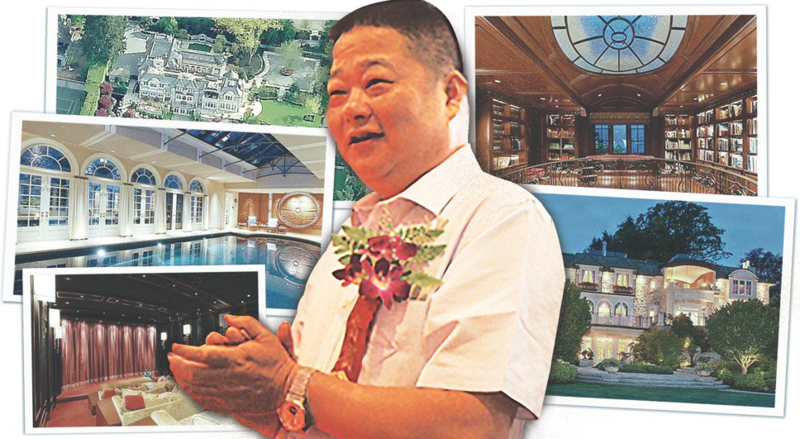 Ding Chen's big-spending father, meanwhile, has been the subject of media scrutiny in Vancouver ever since buying the Drummond Drive home. Chen Mailin was mentioned in a 2012 Canadian court ruling in which prominent Vancouver realtor Julia Lau claimed he was a friend who loaned her C$30,000 out of C$131,000 in undeclared cash. The money had been seized by Canadian border authorities in 2010 from a car broker named Jason Edward Lee as he tried to board a flight to Las Vegas. The judge in the case found that Lee had instead "squandered" the wired funds at a casino. The judge ruled that the seized replacement funds, including the supposed loan from Chen, should not be returned to Lau because of her "failure to establish the legitimate origins of the funds". Lee, who told Canadian authorities the C$30,000 came from a "loan shark", according to the ruling, was found dead of a heroin overdose in the boot of his car, with zip ties around his wrists and ankles, about a month after Canadian authorities seized the cash. There was no suggestion in the court case that Chen Mailin is a "loan shark".